Cardiovascular disease is the leading cause of death worldwide. Every year, heart attack affects more than a million Americans. When we talk about heart attack, also known as myocardial infarction, we are dealing with a permanent damage in the heart muscle. It sometimes feels as if there is a squeezing pain or fullness located in the center of the chest. This soreness may spread beyond the chest. It can go to the patient’s jaw, neck, shoulders, teeth and one or both arms. Occasionally, it can also spread towards toe abdomen. A person having a heart attack may experience chest pain for no more than 15 minutes. However, there are times when there are no symptoms at all. There are also a lot of cases that the patient who is about to experience a heart attack may show warning signs for hours, days and/or even months before the episode. What must you do whenever you or a person close to you has a heart attack? Or you can dial your emergency local number. See to it that your list is easily accessible. Do not put aside or suppress the symptoms of a heart attack for five minutes or more. Once you do not have an access to your local emergency service, have a friend or a neighbor take you to the nearest hospital. Driving will only put you to risk. And if you have passengers in your car, you are also putting them in danger. After calling emergency service, you can chew and swallow an aspirin. You are exempted from taking one once your doctor does not recommend you to do so or if you are allergic to the pill. If the patient is unconscious or is experiencing a heart attack, you have to tell 911 or your emergency service. After doing so, you may start administering CPR or cardiopulmonary resuscitation. If you have not had any training in administering mouth-to-mouth, you can immediately go directly to chest compressions. Chest compressions need to be performed about 100 a minute. If an automated external defibrillator is available and if the person is unconscious, attach the former to the latter. Start administering CPR while the device is being retrieved and set up. Simply follow instructions. 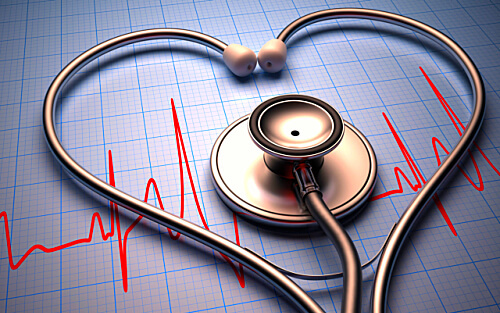 After a heart attack, the patient needs to take extra precaution and be cared for. This is where Bayou Home Care, provider of Home Care in Louisiana, comes in. This entry was posted in Home Care and tagged burn pain, elder, elderly care, heart attack, home care, home care in louisiana, home health. Bookmark the permalink.